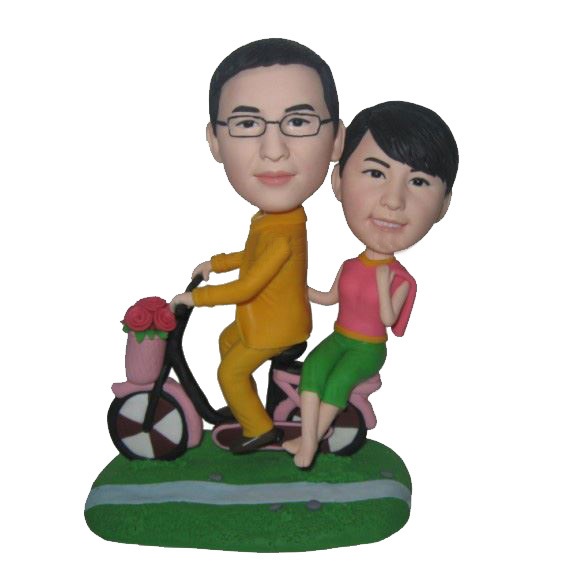 This custom couple bobbleheads depicts male in a yellow suit riding his lovely wife. 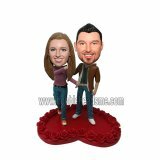 The female custom bobblehead wears pink and green skirt baring her feet. Oh,there is a bouquet of rose on the bike basket. The whole set is so sweet. 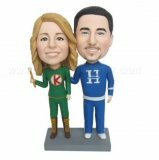 This custom couple bobblehead makes a perfect gift for that couple you know who's deeply love each other and enjoy their simple life.